You’ll find amazing floral design inspiration everywhere at the moment, from floating floral installations above tables to ceremony backdrop designs and of course beautiful bridal bouquets and centerpieces! 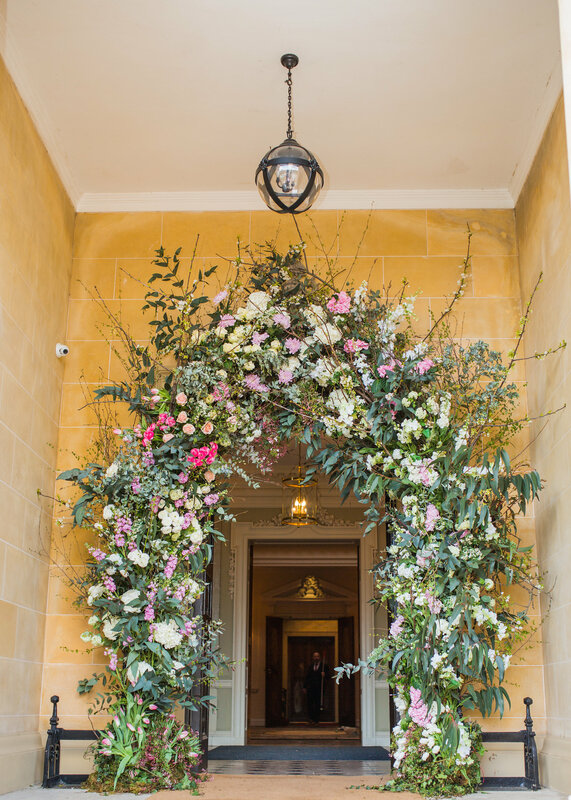 The opulent floral arch is such a favourite – with even Meghan and Harry choosing this design for their Royal Wedding recently! 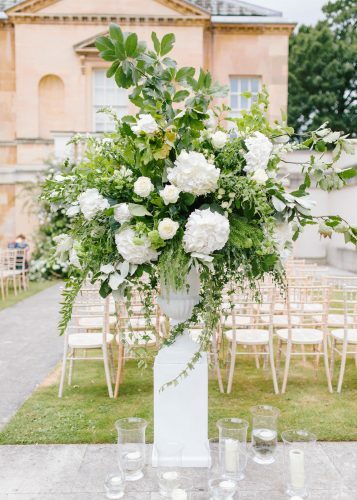 Whether your style is a glorious manor house setting, a pretty barn wedding, or even the understated elegance of the more minimalist wedding trend – you’ll find that statement floral designs are key! 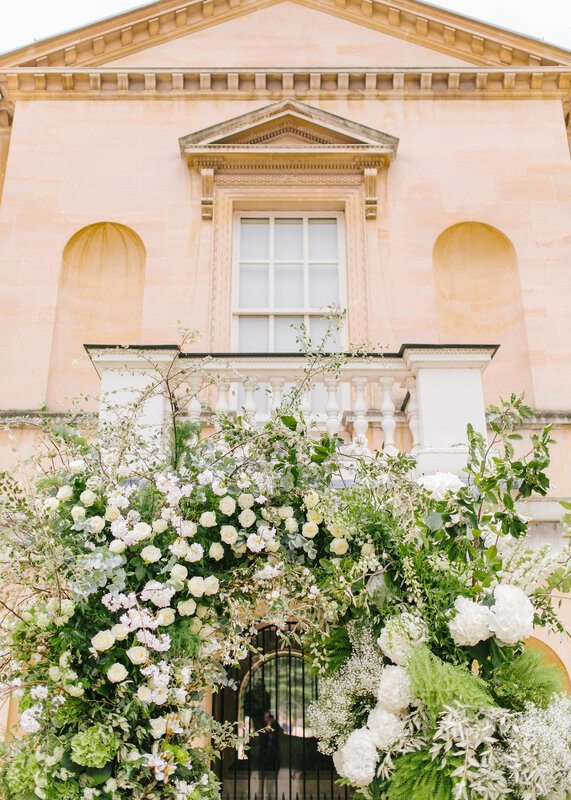 All for Love London is known for creating some pretty spectacular floral displays, and we especially love these we share in today’s feature captured by amazing wedding photographers; Amy O’Boyle Photography, Heledd Roberts Photography and Gyan Gurung Photography! So, we wanted to know more about how you would plan these amazing statement floral displays from installations to opulent centrepieces and have an exclusive interview with Ruth, CEO & Artistic Director of All for Love London to bring you the lowdown! What are the biggest floral trends you are seeing for 2018-19 and which are you most excited about? 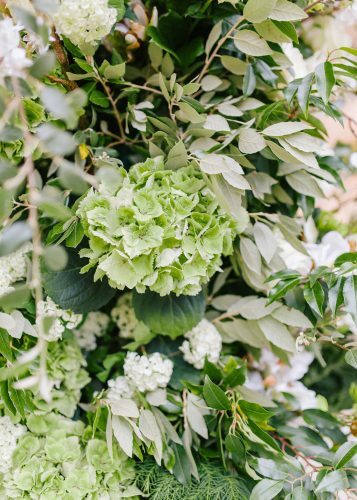 A very popular trend from this year, which will continue into next is beautiful greens and whites. 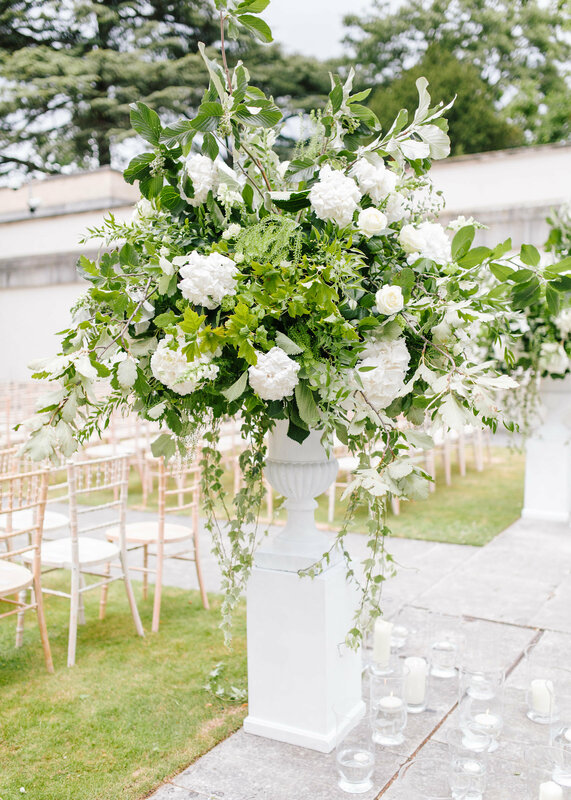 The classic white wedding is timeless and always on trend! 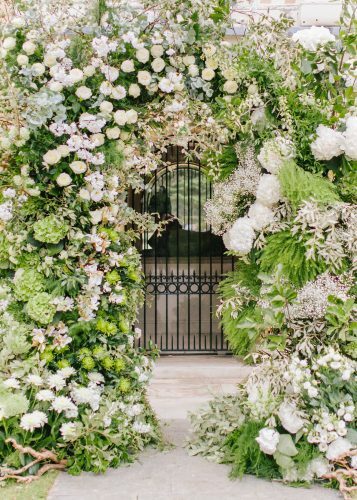 Foliage will continue to play a leading role in 2018 weddings and a beautiful arch is the perfect way to showcase it in all its glory. 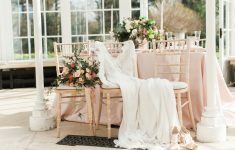 In contrast, for the bolder bride, mixing it up colour wise and not just choosing one colour palette is also proving popular. 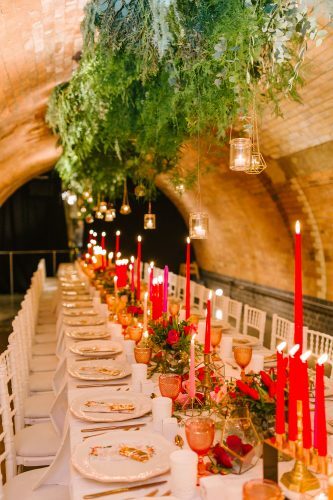 Brights will be very popular, think rainbow bright! 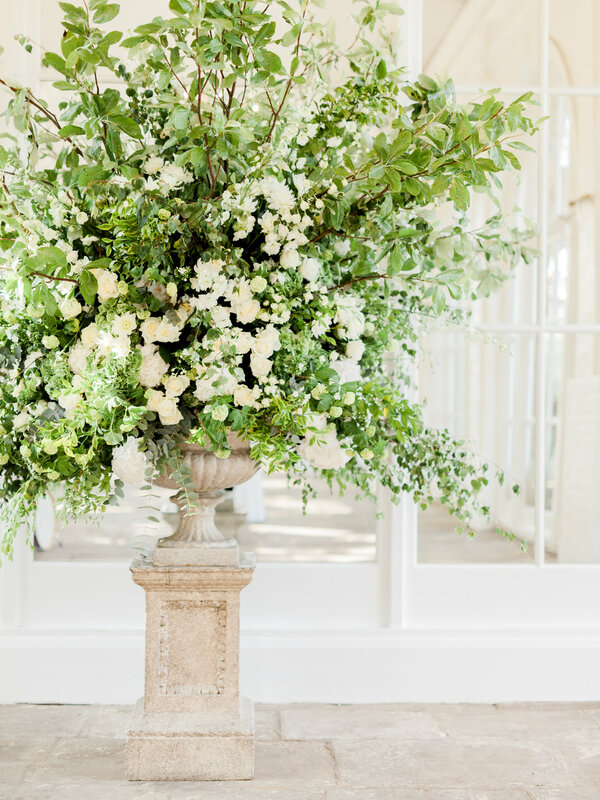 Beautiful hot pinks, lemons, corals and summery blues with a touch of green… gorgeous, and so pretty all together! Instagramable pieces, including arches, chandeliers, marquee ceiling foliage, photobooths, flower walls and over-sized urns are on trend in a big way, as they offer focal points for the wedding and give the real ‘wow’ factor for guests, providing many a photo opportunity! 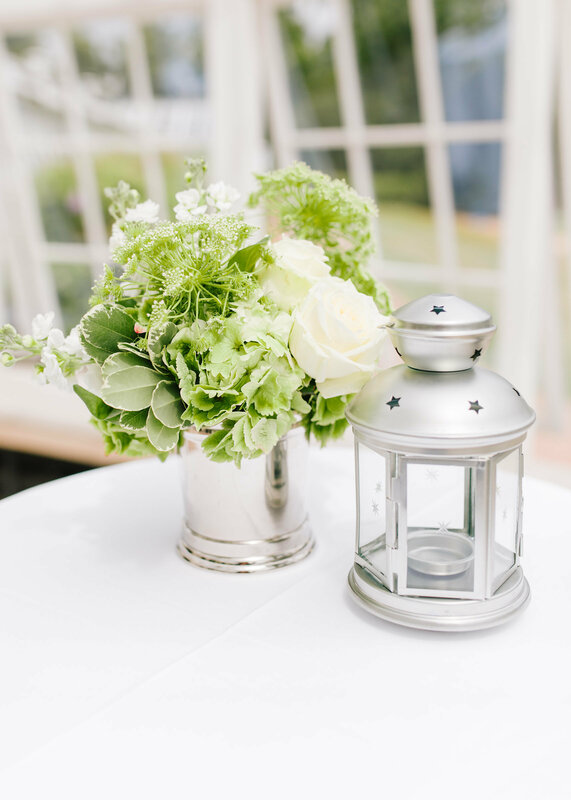 Brides are very into personalising at the moment. 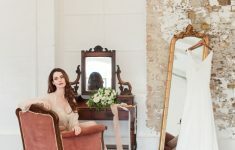 2018 is seeing more unique little touches and quirks creeping into their big day – and rightly so! 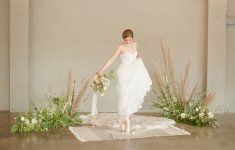 Expect cultural nods, cute childhood mementos, homegrown touches from mothers of the bride, handmade props, and even the couple’s own furniture! 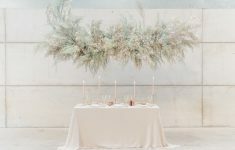 For the boho bride, hand spun Macramé hangers are high on the list, along with Pampas grass and crystal quartz, are all ones to watch out for! 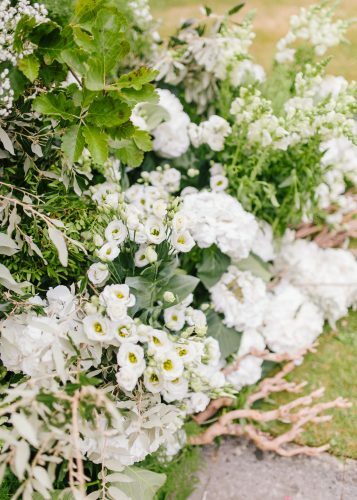 What are the key styles of statement floral designs for weddings Ruth? 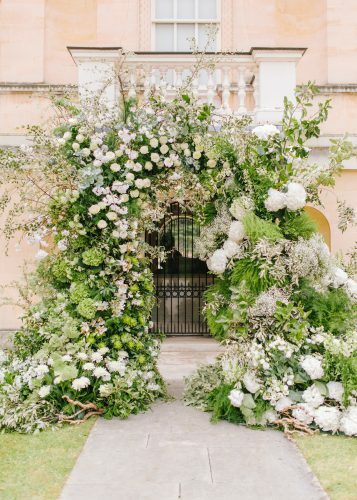 Here at All For Love, we LOVE a flower arch! It’s what we’ve become known for and it always gets us excited when a bride requests one. There is just so much you can do with an arch in terms of styles, and it’s mostly used as a statement piece at the entrance to the church or the venue. 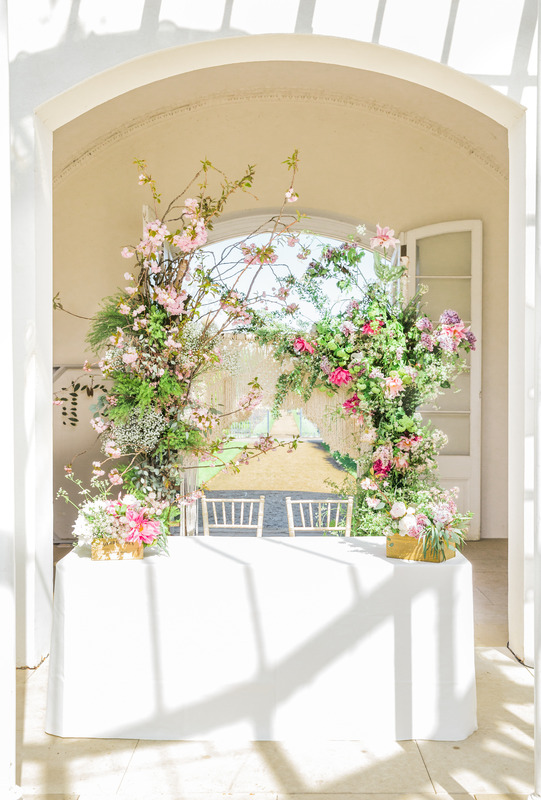 It’s a real photo opportunity and is usually the first thing guests and the bride will see when arriving- so the initial ‘wow’ is super important to capture, as it sets the scene for the whole day and gives a memory for life! 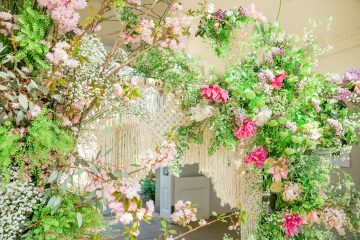 Other great statement designs include floral chandeliers, flower curtains, hanging flowers, trees, half arches and photobooth backdrops. 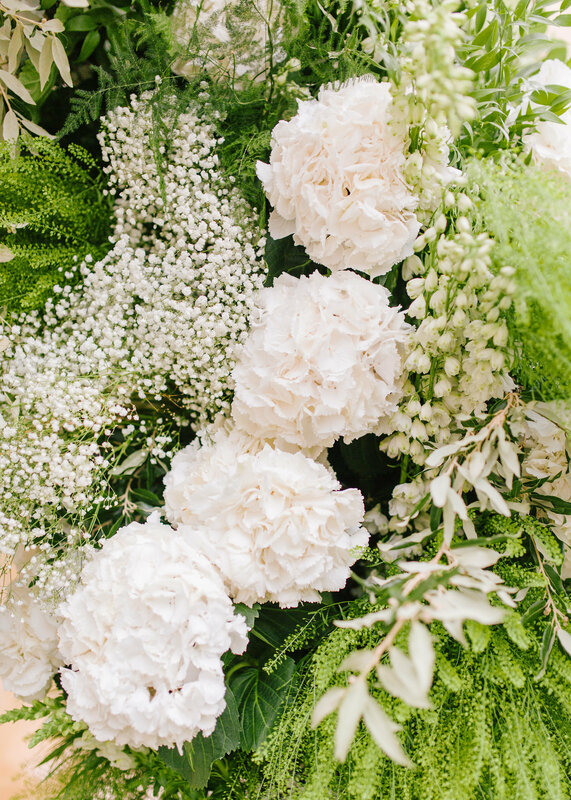 What do Couples have to think about if they want to incorporate statement florals into their wedding day? First up, a couple should definitely consider budget when thinking about incorporating a statement floral design into their day. 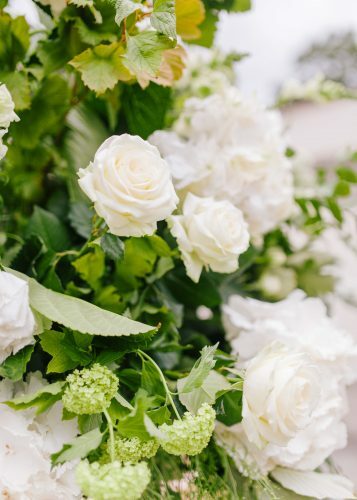 They are epic and amazing but they can be pricey so do be realistic with your wishes. 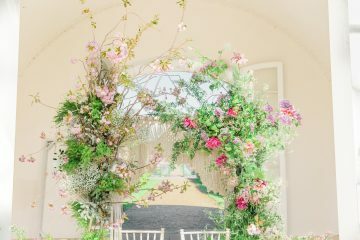 There are ways of reducing costs, for instance you could focus on using just foliage rather than flowers, or you could reduce the size and density of the arch, or do an asymmetrical half arch. Large columns can work well without the ‘top arch’ bit and this can be a cost saver too. You could also always ask your florist what silk flowers they have in stock as it may be that you could hire this and mixed in with real foliage will be a more budget friendly way of creating that dream arch. 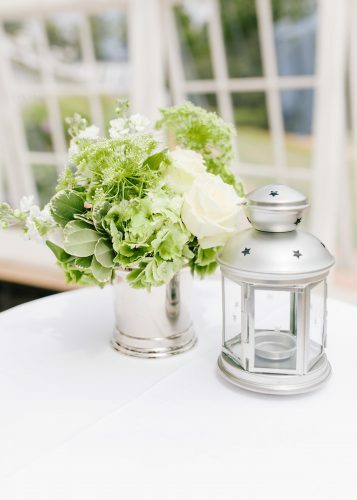 Also consider your venue and what not only how you want the day to look but what will suit your day and venue. For me, the beauty with a flower arch, is that it can become part of the venue, whatever and wherever it may be. Personally, I always try and make our flower arches look as though they are meant to be there, so quite natural, as if they are part of the building already- organically growing out of the brickwork. 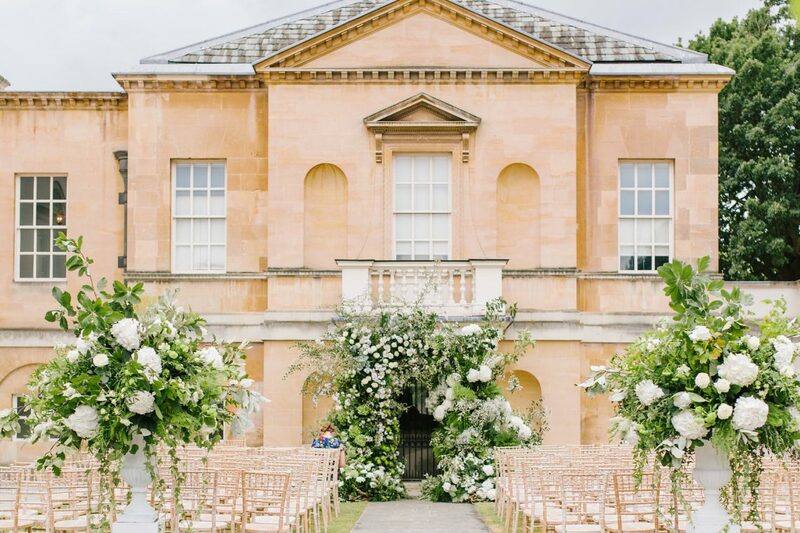 Historical venues obviously add to the romance and provide the perfect backdrop, but so can beautiful Orangerie’s or Conservatories, and even outdoor garden settings. 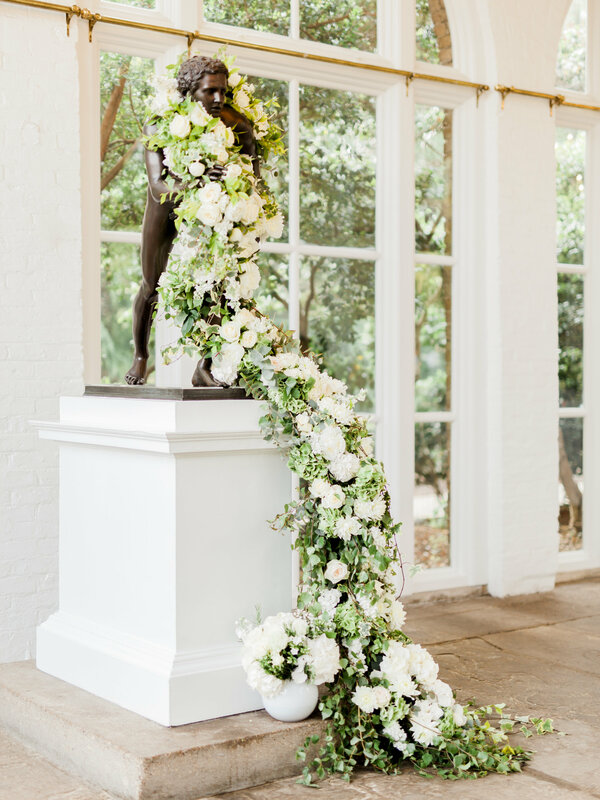 One of my favourite arches we created was of course this beauty at Chiswick House, against the Italian stonework, but also one on the Pine Cliffs in the Algarve looking out to the ocean – beyond beautiful! What would you advice be for creating beautiful florals for the ceremony space? A pair of oversized statement urns is a classic go to but perhaps try to think more creatively and what fits in the space. Perhaps a flower curtain, a wall, or an arch again – all are spectacular. Trees are also great and give an instant wow too. 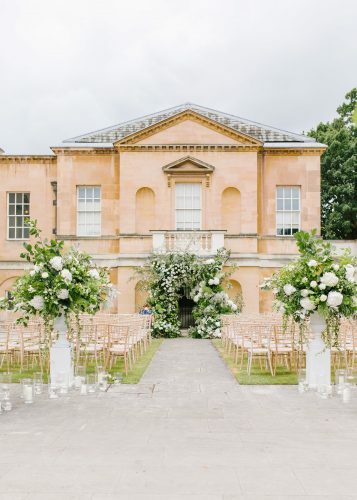 This part of the wedding is the most special of all as it’s the actual ‘marrying’ part and the reason you are there, so it’s important for it to be beautifully dressed. What are some of your favourite statement floral design pieces you’ve created and what made them so special to you? 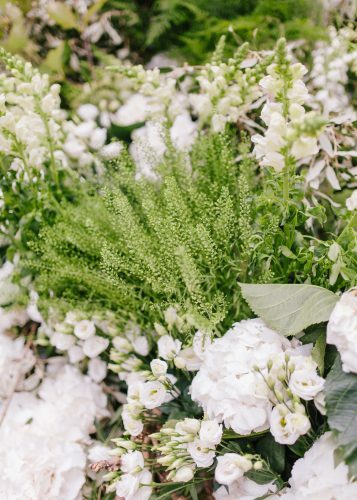 It’s so hard to choose just a few, they all become my favourites. 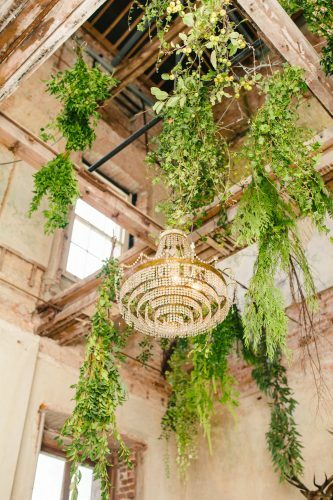 To choose a few I would have to highlight is a beautiful delphinium chandelier. 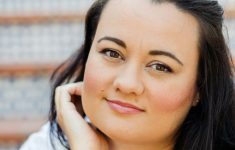 This was the first big one that made me realise we can do it and anything is possible! 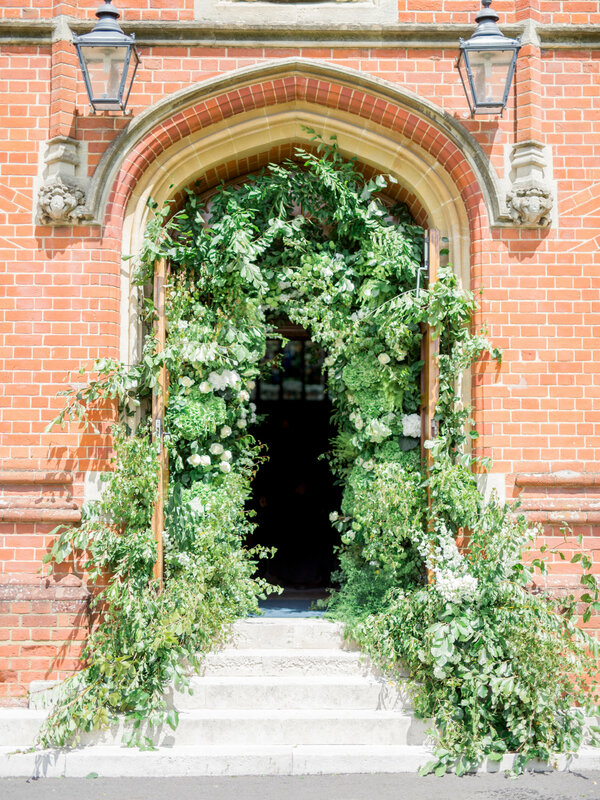 Then our stunning arch for a wonderful couple Seb & April, which was a total dream and again another game changer in the All For Love start up story. Both were made the morning of the events with very little install time too! In the last year or so we have been especially fortunate to have created so many wonderfully creative installations, especially arches in so many forms, it really is hard to choose!